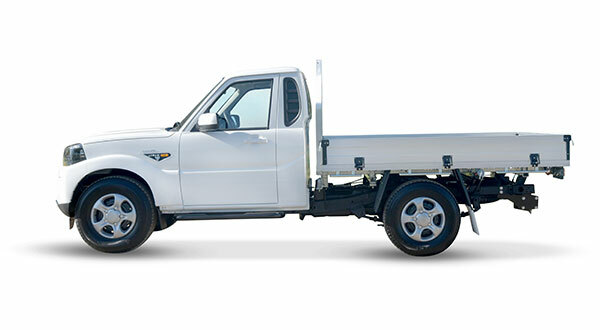 Just WHAT does Mahindra offer the Australian ute buyer that makes it a unique prospect? This article appeared in Delivery Magazine on December 2017. To view the original article download a PDF version here. The Indian auto industry is one of the largest in the world, and yet for many Australians it remains largely an unknown quantity. In some of the most desolate and demanding country in Australia, Mahindra’s Pik-Up 4x4s are thriving. Spanning more than 396,000 square kilometres, Central West Queensland has a population density of just over .03 people per square kilometre – suffice to say it’s terrain suited to only the toughest and most reliable of vehicles. A failure of any kind could become very inconvenient, to say the least. 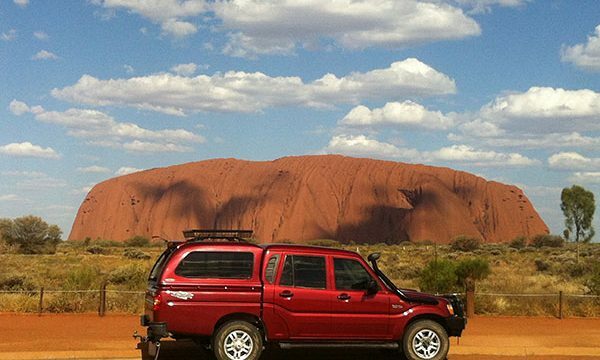 Trade Farm Machinery have recently done a review of our Pik-Up vs the Toyota Landcruiser. Find out the verdict here. 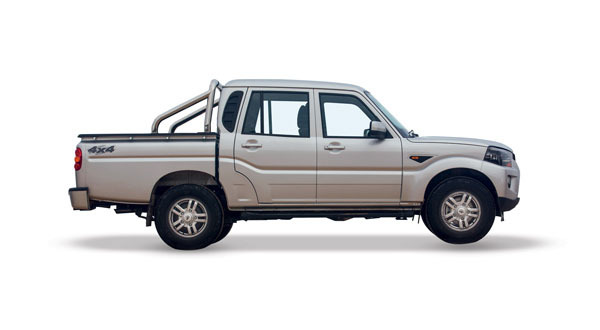 Find out why Ray chose a Mahindra Pik-Up for his epic journey here. John Sainty has owned 10 four-wheel-drives but he reckons his second Mahindra, a 2015 dual-cab Pik-Up he purchased from Cassells Automotive at Warwick, is the best of the lot. A sales rep from Forest Lake in Brisbane, Sainty dropped in a heavy duty aftermarket tray and canopy and now he and the wife use their Pik-Up as the perfect low-cost getaway vehicle. You've got five days off, an off-road van and a Mahindra Pik up. What do you do? Not one to waste a long weekend, forty-three-year-old electrical lines person Michael O'Brien knew the answer without even thinking about it. He and his partner Tracey boosted off on a quick, 2300-kilometre round trip to Queensland’s famous Carnarvon National Park in Central Queensland. 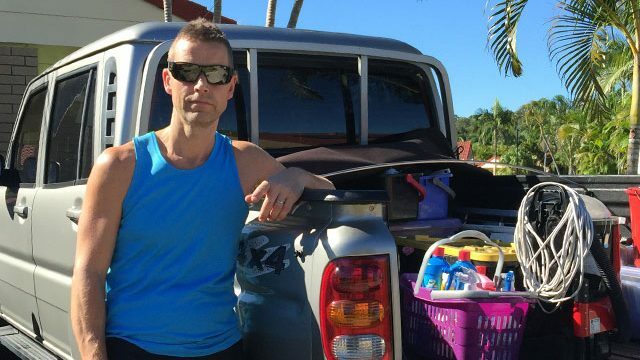 When Paul Johnson isn’t pounding out 1000-kilometre weeks in his Mahindra Pik-Up for his cleaning business Sparklean, you might just find him over at Moreton Island on the tailgate, watching the sunset with a brown trout in hand. The 45 year-old from North Lakes bought his styleside Pik-Up brand new in 2012, and says it’s not only been the most economical vehicle he’s ever had, but it still sounds the same as the day he bought it. 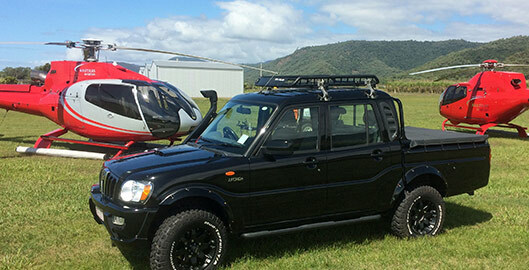 When Michael Butler, owner of television production company Sacred Oz Productions decided to return to Cape York on an important film trip, he knew the vehicle he wanted to take was a Mahindra Pik-up. How did he know? Because it’s the second time he’s chosen a Mahindra Pik-Up to tackle Australia's toughest and most iconic four-wheel driving odyssey. When 43-year-old electrical lines person Michael O'Brien from Deception Bay in North Brisbane found a low-mileage Mahindra Pik-Up at the end of 2012, no-one guessed where the relationship would lead. The answer came in September 2013, when the Queenslander took his Pik-Up on an epic, four-week road trip taking in (among numerous other destinations) Adelaide, Alice Springs, Mount Isa and a total of 9900 kilometres in distance! Getting yourself into a tough new fully featured twin-cab turbo diesel four wheel drive just became easier than ever. 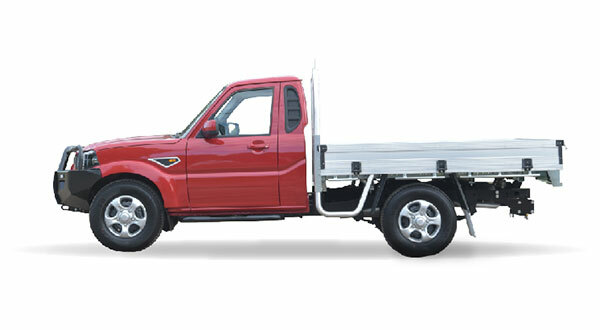 Mahindra has just announced new drive away pricing for its durable Pik-Up range, now starting at just $19,990 drive away for a new Single Cab 4x2 Pik-Up with base aluminium tray, and just $25,990 drive away for the Dual Cab 4x4 Pik-Up. 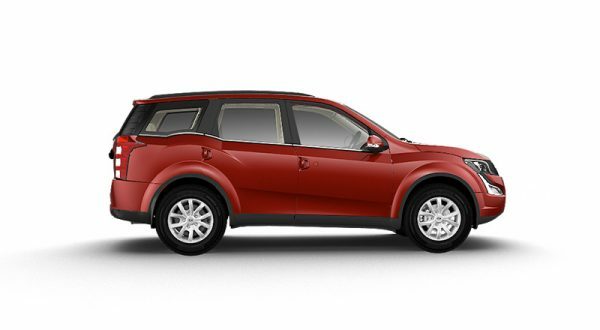 A nice company car is one thing, but a company car that allows you to take the family out for a weekend of real four-wheel drive exploring is something else. 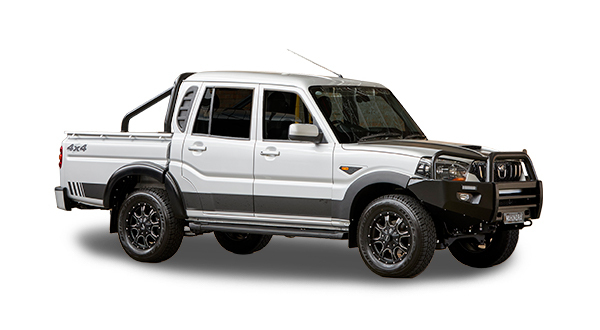 WILLAWONG, QLD (Nov, 2013) – Brisbane-based Mahindra get’s serious about Mine Spec vehicles in Australia. Mahindra Automotive Australia has been supplying Mine Spec Utes in various configurations to companies throughout Qld, WA, NT, NSW, Tas for over the past three years.